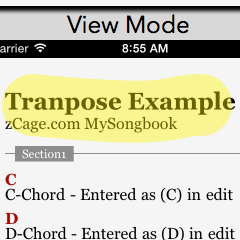 This page explains how to use the Capo and Transposition settings in MySongbook. 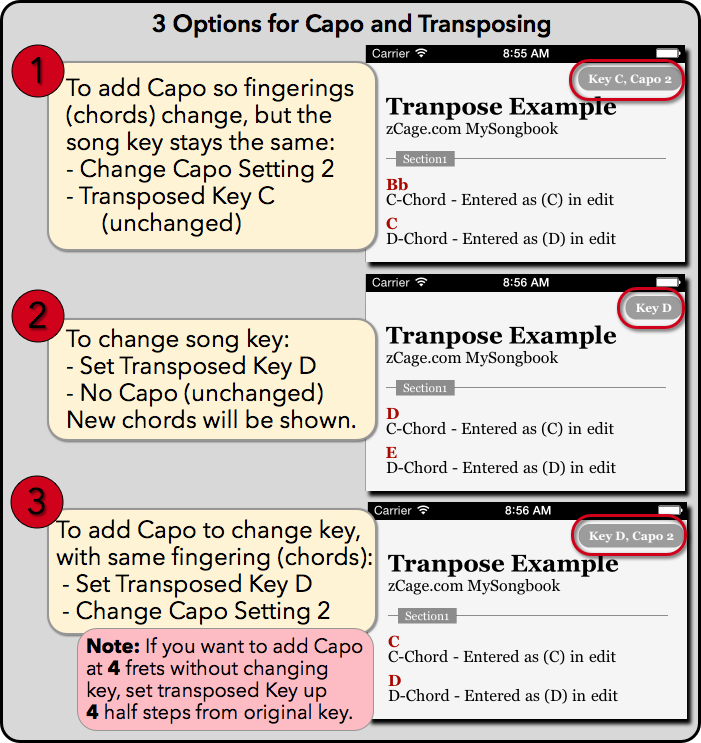 Here we describe 3 different times that a musician will want to use a Capo or transpose a song. 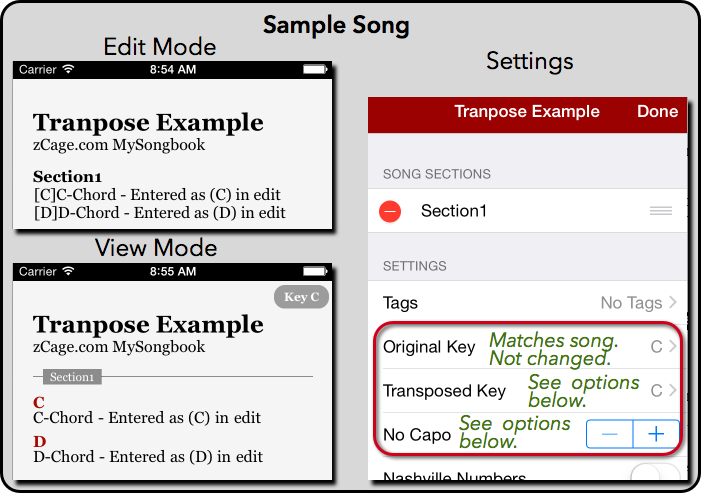 MySongbook can easily handle all of these options. Understanding these details is especially important when playing with others in a specific Key. Add Capo, keep the Song Key the same. Here to keep the key the same different fingerings (chords) will be shown. Transpose to new Key. This changes the displayed chords to the new key. Add Capo, but keep the fingerings (chords) the same. This is, in fact, also a transposition. Because the Key will change. Capo is added at 2nd fret. To keep the Key the same, the C chord be place as a Bb and the D played as a C.
Here we want the song transposed from its original Key of C to D. Capo is not used. Rather than playing a C, a D is played. Similarly, for the D and E is played.